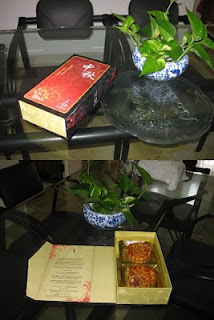 My family celebrated the Mooncake Festival yesterday at my son's house. 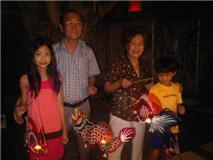 We carried a lantern each to walk around the housing estate. 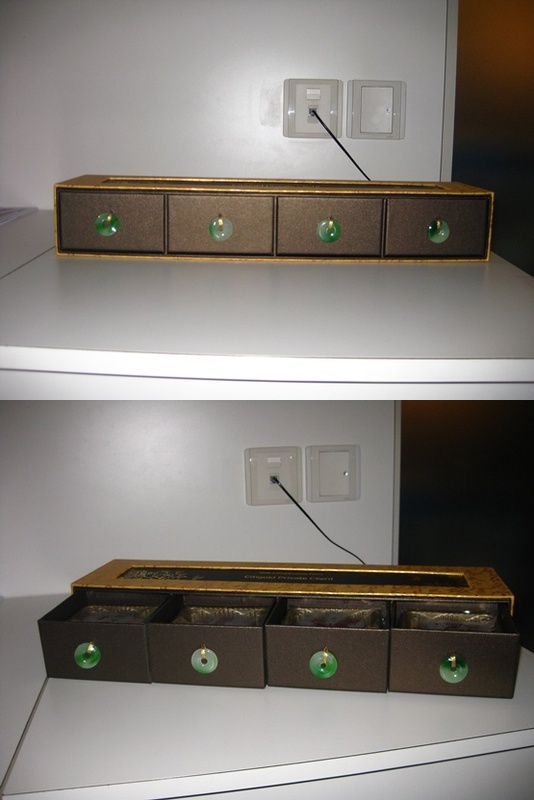 After that we ate mooncakes together. I remember the traditional mooncakes were packed into a cardboard box of 4 mooncakes. The popular ones were usually from the hotels especially the well known Empress Hotel. 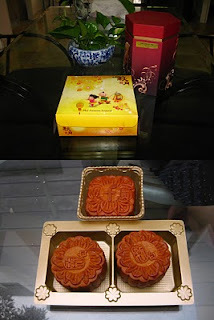 Over the years, the mooncakes started to change colours such as green (pandan), purple (yam) orange, white and so on. But the contents inside the mooncakes remained the same with one or two egg yolks or just bean paste. 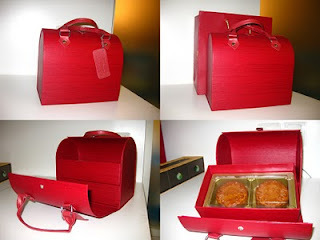 Now the mooncake boxes have new designs like a lady's fashions. I was amazed to see the different mooncake containers displayed on the table (see pictures below). 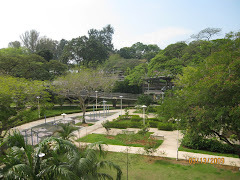 The Straits Times dated 22 Sept 2010 had an article about the mooncake festival in China. 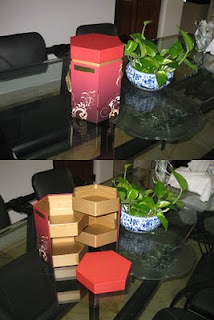 The mooncake fancy boxes not only contained mooncakes but also gold bars, designer watches, fine wine and gold statuette packed next to the mooncakes. In Singapore we now have fancy mooncake boxes too. But with our present government I am assured that what valuable gifts inside China mooncake fancy boxes will not be followed here. Nowadays, the enjoyment for children is a community event for everyone. Not to worry about the "terrorist lantern attackers" to burn down the lanterns in the past. A correction of the lunar calendar should be 八月十五日instead of 八月初八日.